We drove from Las Vegas to Las Cruces, NM. It was a VERY long day — about 12 hours of driving. We stupidly relied on our Magellan instead of looking at a map so we ended up taking the longer route through Flagstaff. 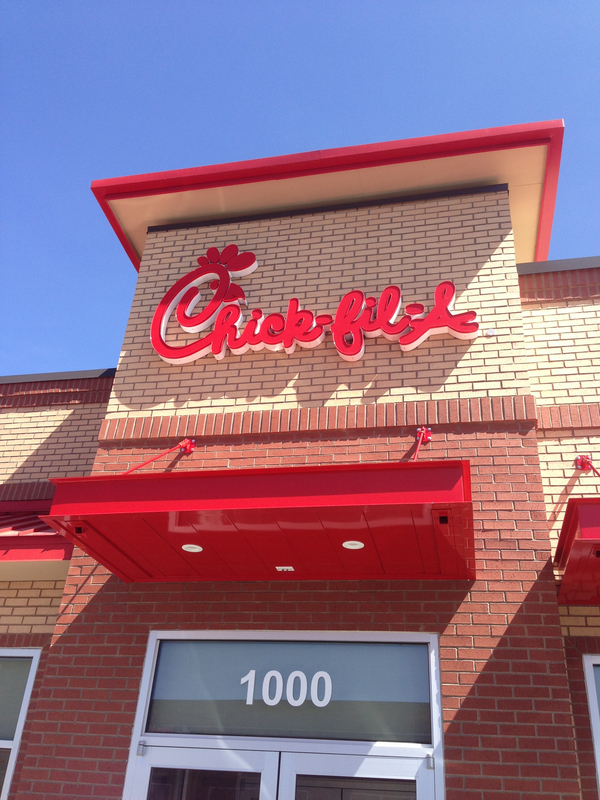 The one perk was the Chick Fil A in Flagstaff where we ate lunch. 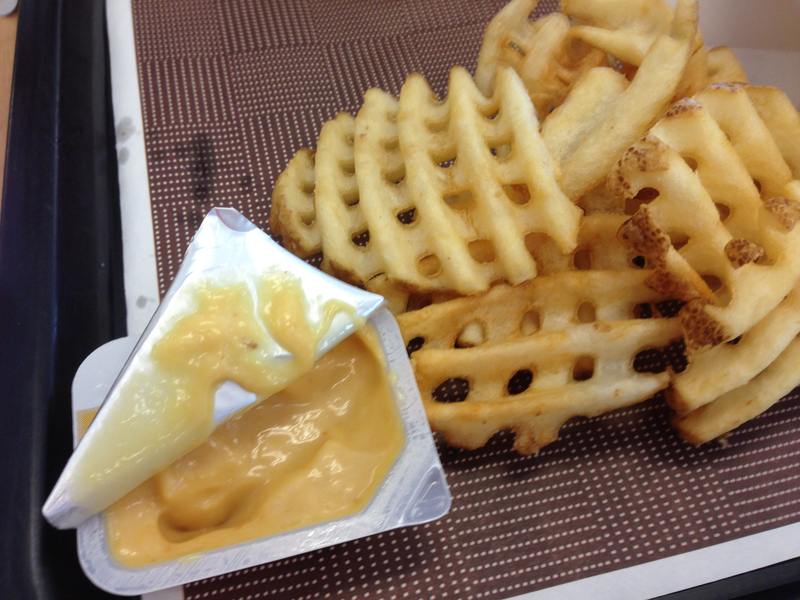 I don’t know what it is about waffle fries and Chick Fil A sauce, but I’m addicted. Once we realized the Magellan (aka Maggie) was being ridiculous, we adjusted course. She immediately protested with “Uturn. In. Three. Hundred. Seventy. Two. Miles.” You know how that stilted voice is. We just turned her off. One of the perks of the drive was all the blooming trees in Phoenix. They were gorgeous. 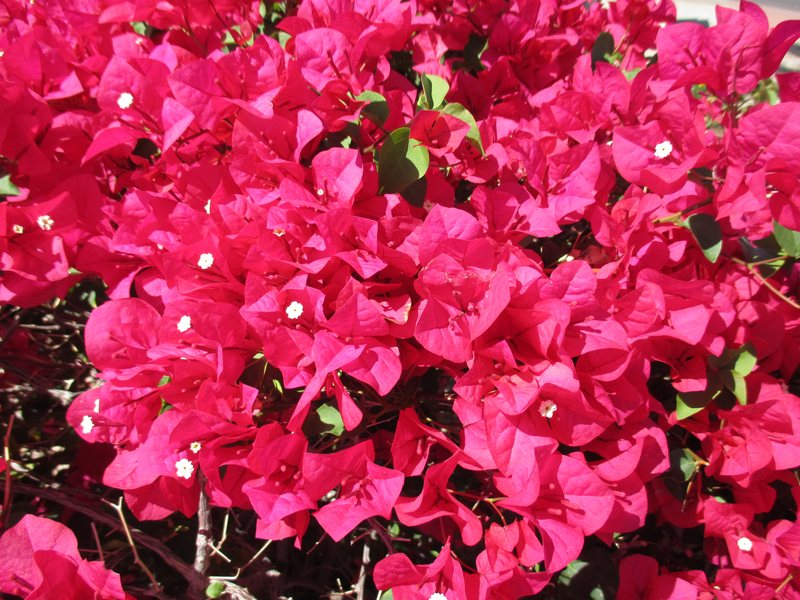 I especially loved the red bougainvillea and the bright yellow Palo Verde Trees. 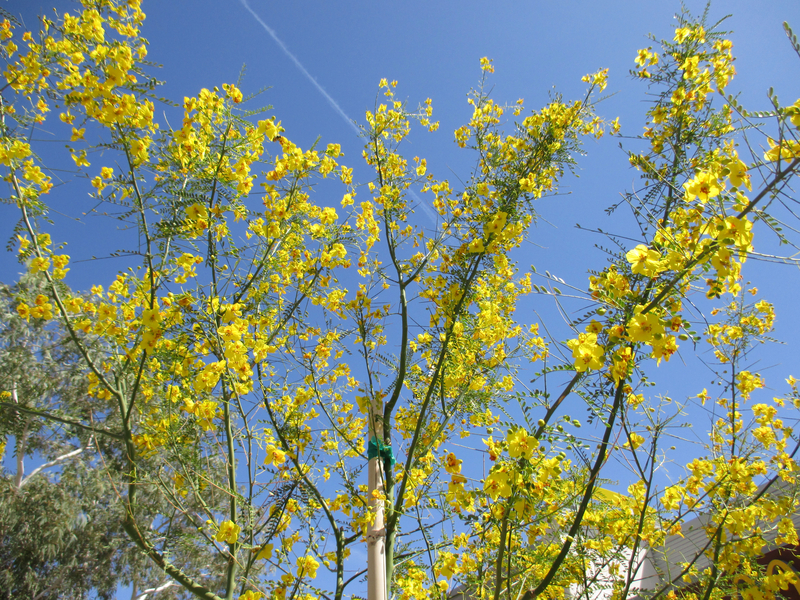 I really love Palo Verde Trees. They’re willowy and interesting when they’re not blooming, and breathtaking when they are blooming. Oh, and if you can tell me what this picture is, I’d appreciate it. 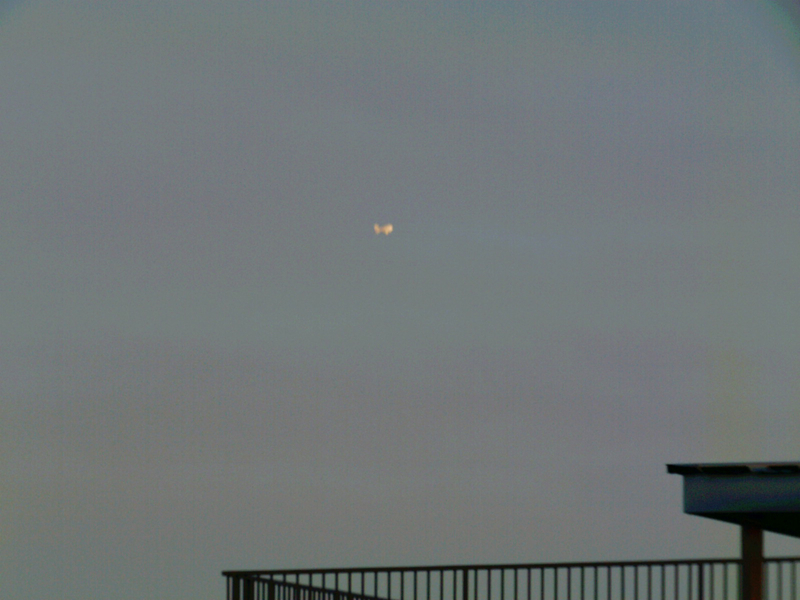 It was quite a distance away and it kept reflecting the sun. It wasn’t moving, it just hung there. It wasn’t a cloud. It looks like a white balloon shaped like one of those fish crackers.